What are the catalysts for small business buyers who decide on purchasing and implementing a project management software? Which functionalities must the application have to meet their needs and requirements? Software Advice asked buyers exactly these questions and published their key findings in a very comprehensive and insightful report. Project management software can increase efficiency, effectiveness and productivity. But small businesses often shy away from purchasing a PM tool. Buying and implementing a new software application is not an easy endeavor. It represents additional costs, it’s time consuming and there’s always the chance of employees rejecting the change. 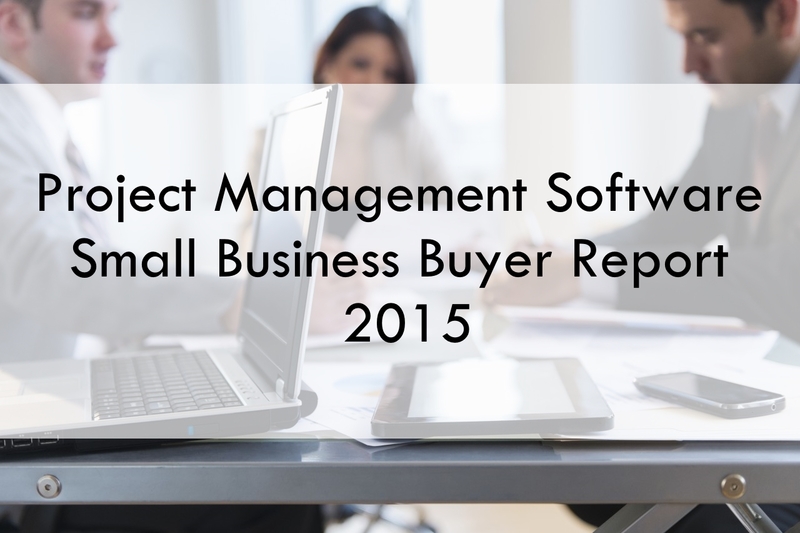 However, the "Project Management Software Small Business Buyer Report - 2015" shows that an increasing number of small businesses are seeking to purchase a PM software (14% more than last year). Here’s a recap of the most important findings from the report. 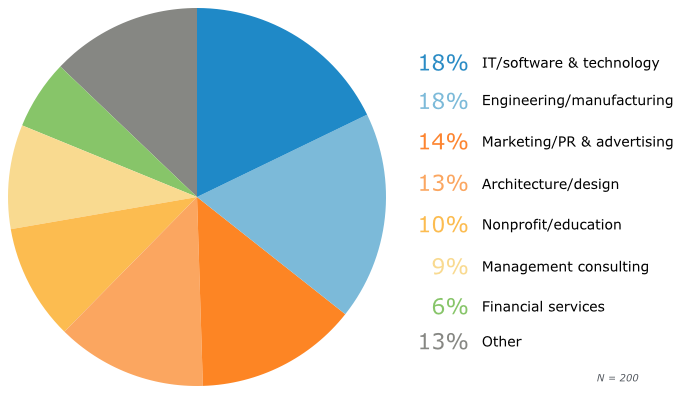 Software Advice surveyed prospective buyers, ranging from executives/owners (49%), managers (15%), project managers (14%) to staff members in marketing, IT, and accounting (13%). 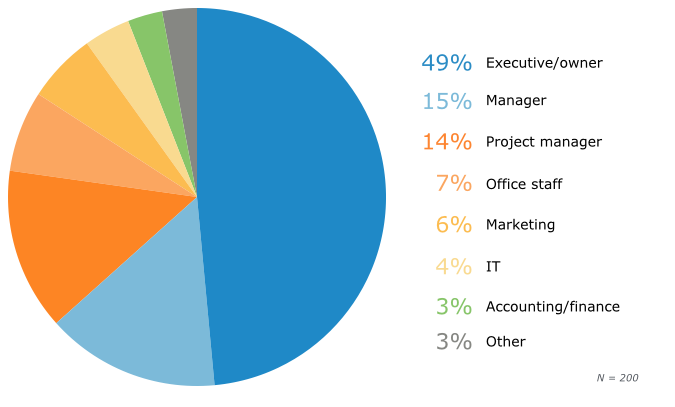 Most participants come from industries that rely heavily on project management such as IT/Software and Technology, Manufacturing/Engineering, Marketing/PR and Architecture/Design. A majority of those prospective buyers is looking for a software for 2-10 users (59%). 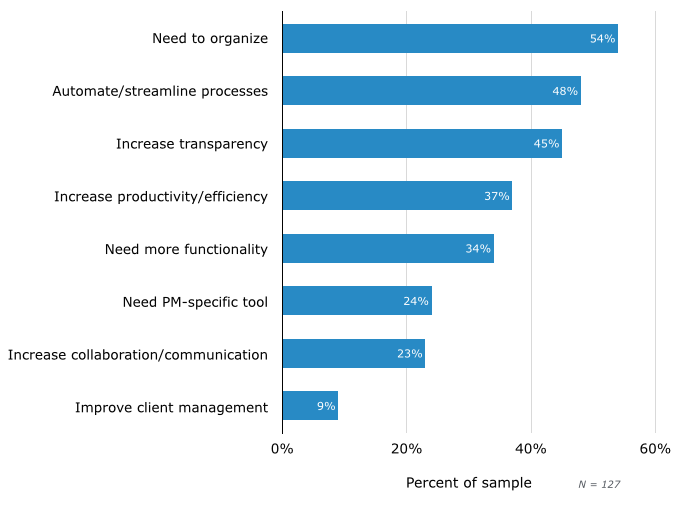 When asked what their top reasons for considering a PM software are, over 50% of respondents state the need to organize as the top reason (54%), followed by the wish to streamline processes (48%) and thus, wanting to increase productivity and efficiency (37%). What’s surprising is the increased call for more advanced functionality instead of wanting more basic PM tools. It seems that as small businesses are maturing and their projects are getting bigger and more complex, the need for a comprehensive and PM-specific tool (24%) is also increasing. Enhancing transparency and collaboration are also important factors for prospective buyers (68%). Improving client relations, on the other hand, is not a priority, at least not when it comes to deciding on the necessity of a PM software. 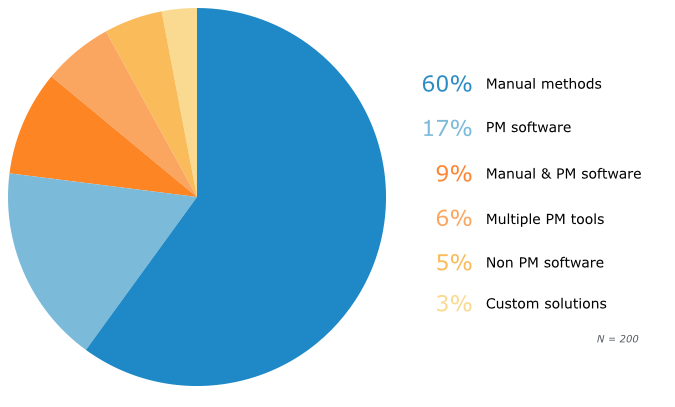 60% of respondents stated that they still use manual methods for their project work (email, spreadsheets and other office applications) and only about a third uses a PM tool. This is not that surprising as the study focused on small businesses, which means that they usually have a smaller budget to spend on software. Also, small businesses, and startups in particular, often don’t see the need for a specific PM software when their projects are still small and manageable. However, many find that with time that they have outgrown their current system and are looking for a software to deal with bigger and more complex projects. The study found that buyers frequently request a resource management function, i.e. the ability to assign team members to specific projects. What functionalities do buyers want? The most-requested functionality is reporting and analytics (88%), closely followed by project planning (86%). It’s surprising that these more advanced functionalities are more in demand than the more basic features of time/expense tracking (83%) and task management (79%), which are only in third and fourth place. These results show that businesses want better ways to measure the success of their projects and to evaluate their teams’ performances as well as other metrics, such as ROI, more accurately. Taking a closer look at what kind of reporting and analytics functions buyers want, a reporting function itself is highly important. Around a third also request a dashboard function that helps them keep an overview on the most important metrics. 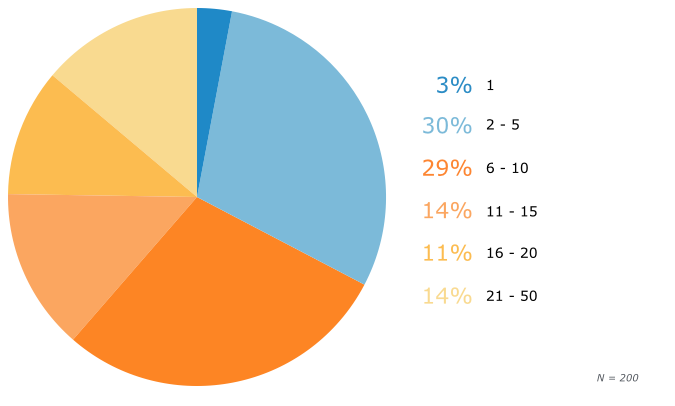 Most requested project planning features were the possibility to set timelines and milestones (56%) as well as features that allow them to define scope, objectives and goals (30%). Choose a software that is a good fit for your company by taking into account your PM maturity level, the industry you’re in, as well as your company culture. If you’re still unsure whether to commit to a software entirely or not, consider a web-based solution on a monthly subscription basis. Remember that even the best PM tool does not automatically ensure that all projects are a success, you’ll only achieve that through careful planning with clearly defined scopes, goals and processes. 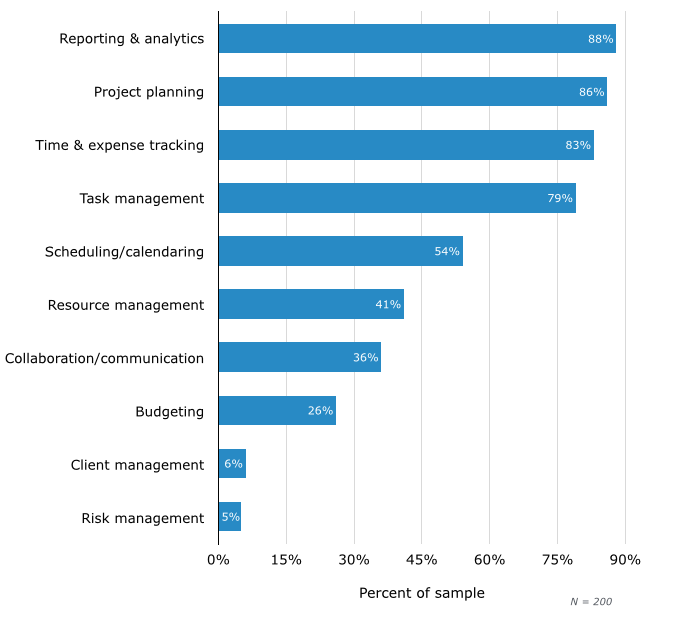 Study: What Do Small Business Buyers Really Want from a Project Management Software? - InLoox • Copyright 1999-2019 © InLoox, Inc. All rights reserved.